Shure M78S Phono DJ Cartridge DJParts - All Variety of Parts that DJ Needs. The Shure M78S monophonic cartridge is specifically designed for playing wide groove / 78 RPM records. 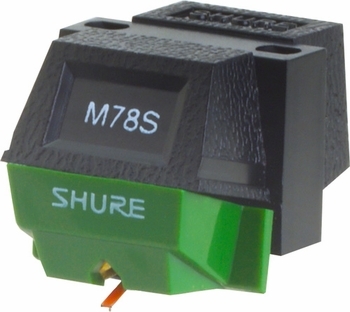 The N78S replacement stylus can also be used in any of Shure's current line stereophonic cartridges, except the 44 series (M44-7 and M44G) for the same purpose.